Dr. Hopkins grew up locally in the South Bay, where he graduated in 1973 from Palos Verdes High School. He attended Stanford University and graduated with honors with a degree in Human Biology. Dr. Hopkins is a 1984 graduate of UCLA Dental School, served as a General Practice Resident in Hospital Dentistry at UCLA Hospital 1984-85 and later as attending faculty in his residency program. 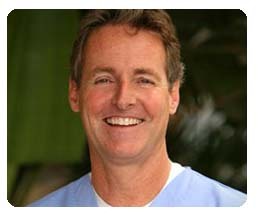 Dr. Hopkins has been practicing in the South Bay for nearly 25 years and at his current location since 1990. He focuses his practice on preventative, restorative, implant and cosmetic dentistry. Dr. Hopkins lives in Manhattan Beach with his wife, five children and two Golden Retrievers. He is an avid surfer and snow skier.